سواءً كنت مسافراً بغرض السياحة أو العمل, Charlestown Executive Apartments هو خيار عظيم للإقامة خلال زيارتك نيو كاستل. يسهل الوصول إلى هذا الفندق ذو 4 نجوم من المطار، فهو يبعد عنه مسافة 35 km فقط. إن سهولة الوصول من الفندق إلى المعالم السياحية الشهيرة الكثيرة في المدينة كمثل Westfield Kotara, بلاك بوت ريزيرف, مستشفى جون هنتر هو استثنائي بحد ذاته. استمتع بالخدمات الراقية والضيافة التي لا مثيل لها بهذا الفندق في نيو كاستل. يقدم هذا الفندق العديد من الخدمات الكفيلة بإرضاء أكثر الضيوف تطلباً. في Charlestown Executive Apartments غرف نوم يزيد عددها عن 23 صممت بذوق وعناية لتوفر لك كل وسائل الراحة . بعضها يحتوي أضاً على تلفزيون بشاشة مسطحة, حمام إضافي, مرحاض إضافي, سجاد, مواد تنظيف. يمكنك طلب اللائحة الكاملة للخدمات في الفندق ومن بينها مسار جولف - ضمن 3 كم, حديقة. اكتشف مزيجاً ساحراً من الخدمة الاحترافية والخيارات الواسعة من وسائل الراحة والمتعة في Charlestown Executive Apartments. يفرض هذا العقار سياسة صارمة تمنع إقامة الحفلات أو الضوضاء الزائدة. يلزم دفع مبلغ تأميني من البطاقة الائتمانية بقيمة 500 دولار أسترالي عند تسجيل الوصول. يتم فرض رسم إضافي بنسبة %1.5 عند استخدام البطاقة الائتمانية فيزا أو ماستر كارد. يفرض رسم إضافي بنسبة %3.5 عند استخدام بطاقة ائتمان أمريكان إكسبرس. The apartment we had was over 3 levels. Getting the luggage from garage to bedrooms on top level was challenging. But everything was very good once settled. Good exercise going up and down. Well equipped, with exception of cheese grater (took my own). Nice to have security of lock up garage for the car. We had a studio apartment. It's like a motel unit but has a small kitchenette with microwave, toaster, crockery and cutlery. Much better value than a motel. We didn't like the exterior steps as it was raining and they were very slippery especially with suitcases and large bags, but storage space was adequate for short stay. Big tv screen and large comfy bed. It is not 24 hour reception. There is no traffic noise. The one bedroom apartments have some stairs after alighting the lift. The two bedroom ones have internal stairs. Some of the cooking equipment is aging and the meal table in the one bedders is very small. We stay there because it is close to family. 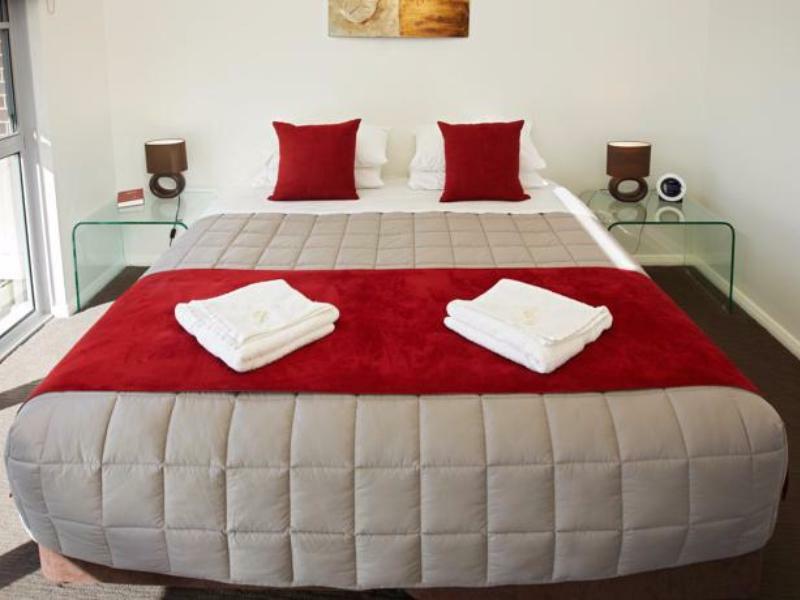 The price compares favourably with local motels. 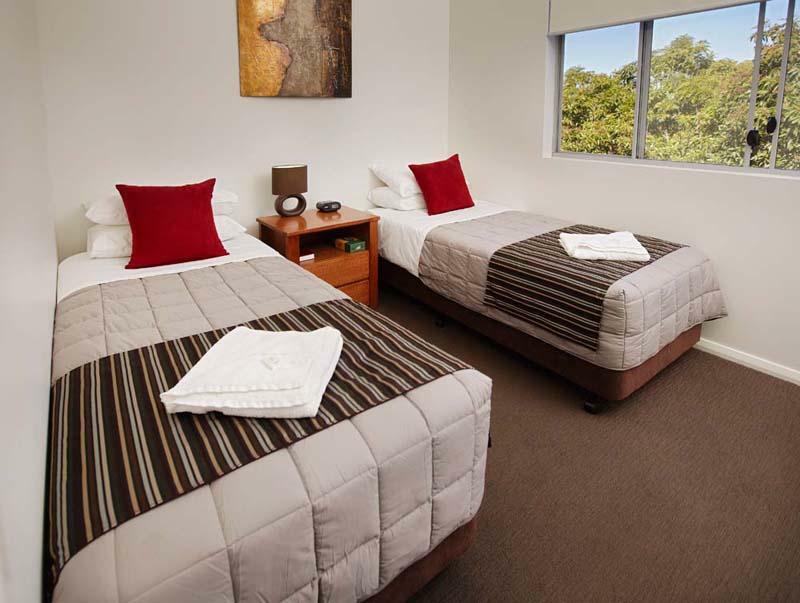 We head North from Sydney to Coffs Harbor, stop and stay at Charlestown Executive Apartments for 2 days. It was indeed a very clean and comfortable place for a family, full kitchen facility, own car park. shopping mall and many restaurants are nearby. We will come back again in next visit. 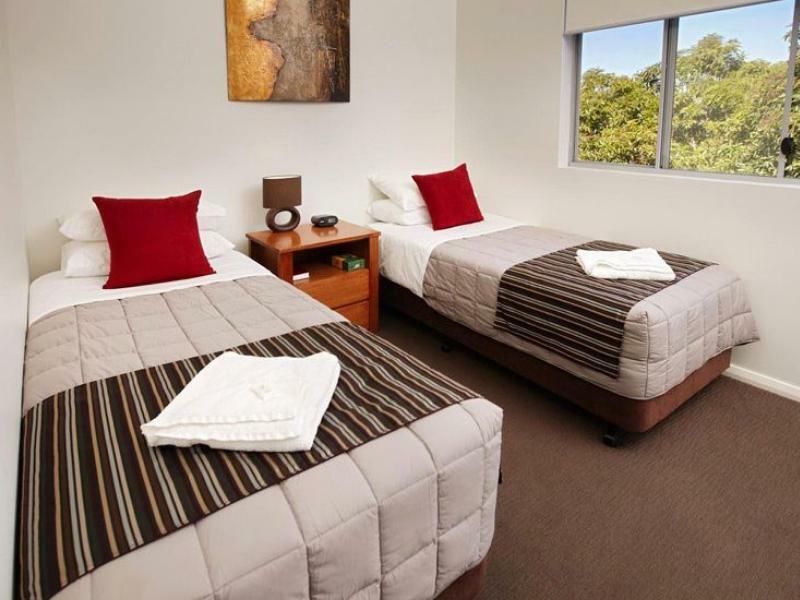 We recently stayed with 2 kids at charlestown EXecutive apartments. It was an awesum experience with a feel of independent luxurious apartments without any interference. We look forward to spend more time there soon. The staff was very friendly and efficient. In short its worth it. Good clean property. We were sick on our holiday, but we're not sick being there. 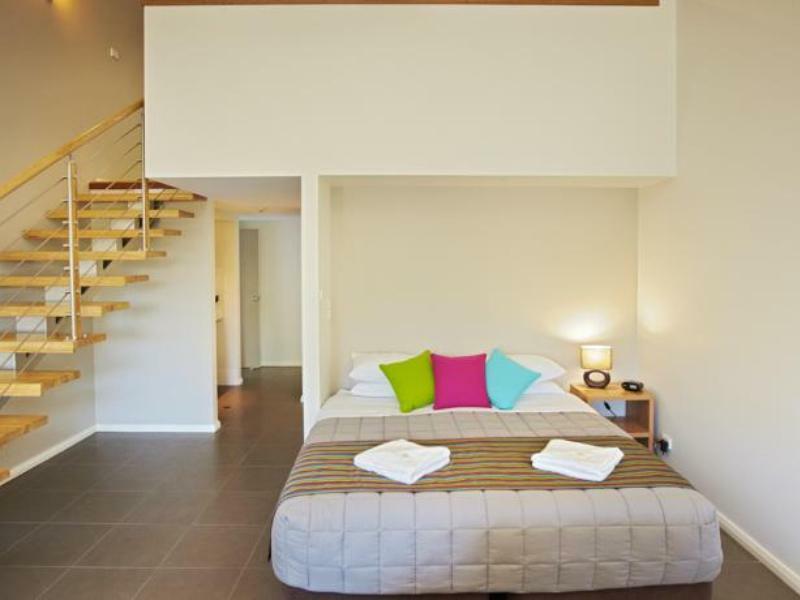 A clean, tidy, modern property with very good bedding, which was centrally located to everything we wanted to do, and everywhere we needed to be. As a family of 4, it is often hard to find a cost effective place to stay. We took a gamble on staying here and it paid off. 2 bathrooms (we don't even have that at home!) excellent fitout, including 2 tvs! Full kitchen (love not HAVING to eat out for every meal). Negatives were: bathrooms are both upstairs and any noise downstairs echoes through to upstairs (within your own apartment). We would happily stay here again as it accommodated our family quite comfortably and is excellently located to walk to Charlestown. 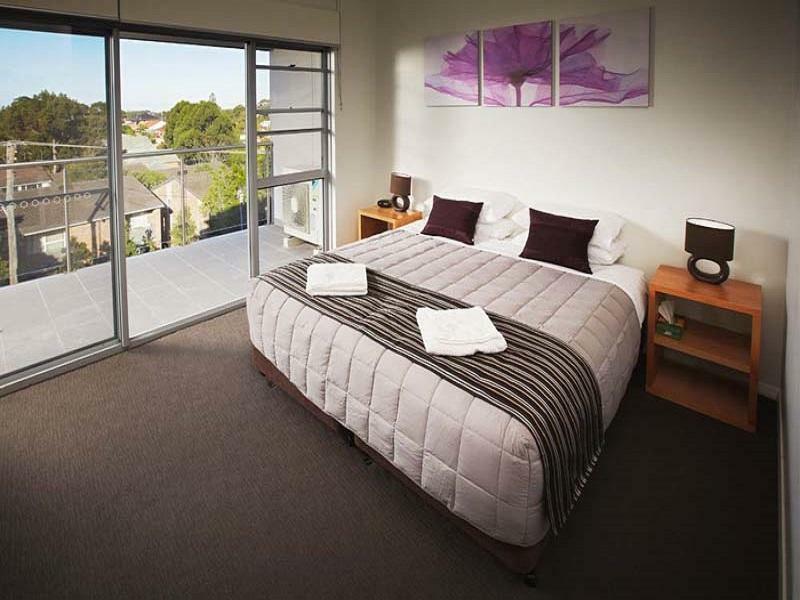 The apartment and stay was excellent, It was walking distance to a very large shopping complex, the apartment was excellent, clean and the stay was excellent, there was secure parking and staff went out of there way to look after us. Wanted somewhere to stay for the night on our drive from Melbourne to Queensland and this was perfect staff even helped us with directions to grab dinner. The room was a perfect little studio apartment with a comfy king size bed just what we needed after the long drive. Stayed for 5 nights in a 1 bedroom apartment in January. Beautiful accommodation, very comfortable. Everything we could want or need was there. Good central location, and we easily walked to the shops. It was nice to hear so many birds while sitting on the balcony. Not far from beaches, and we also enjoyed a lovely day trip to Port Stephens. Good security and undercover parking. Friendly, efficient staff. I would definitely stay here again. Our stay was comfortable and enjoyable. The bed was seriously comfortable. The room was a little pokey and we could hear noise from other guests every now and again. Unfortunately with the cold weather it was not practical to eat outside on the verandah table; The table in the room was situated directly under the TV, which was a little uncomfortable and claustaphobic. However, between the bed and the close proximity to the shopping centre all panned out well. The décor was modern and tasteful, the shower was soothing and the towels were soft. We would stay there again and I would recommend it for a serious shopping trip. There is no need to take the car and pay for parking all day either. peaceful location, ease of access. We stayed for 2 nights and initially had a small studio room. We realized this was too small for us with a toddler when we arrived and the super helpful reception lady quickly arranged for us to move to a larger room. A cot was provided as well. 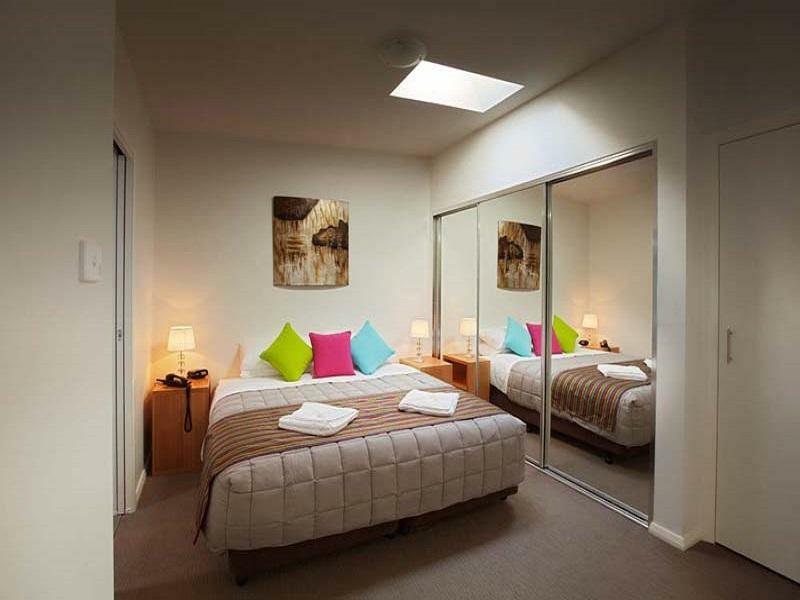 All the rooms appeared to be very clean and modern, and we were very comfortable during our stay. We didnt have a washing/drying machine in our apartment but they let us use the commercial units in the car park which we had no problem with. There is a park opposite the apartments if you have young children that want to burn off some energy, and best of all is that 2 blocks walk away there is a huge mall with over 300 shops and restaurants and 2 supermarkets (Coles and Woolworths). The apartment provides for a relaxing time with Foxtel and big TV to keep us occupied at night. The kitchen was fully equipped and the bathroom and rooms were bright and clean. Nice and quiet locationHighly recommended. 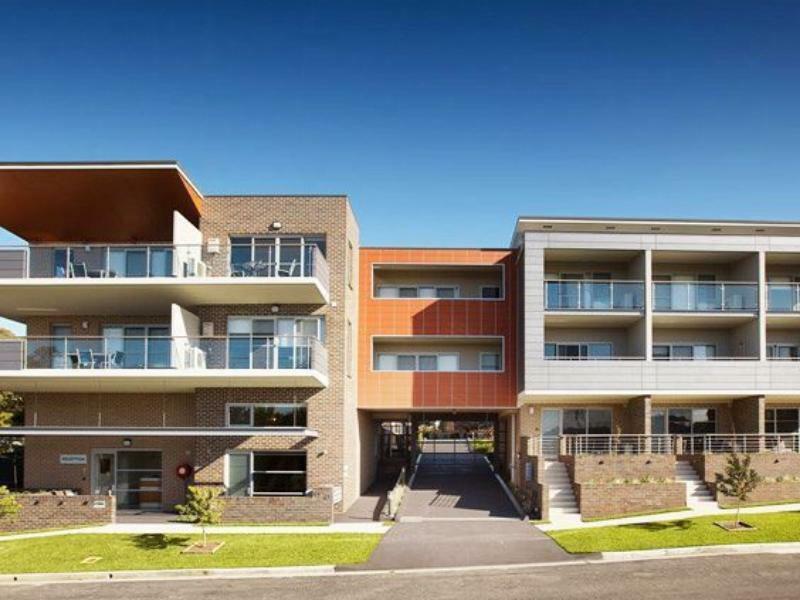 Walking distance to Charlestown Shopping Centre. Beautiful duplex apartment. The place looks brand new even though it is almost 2 . It has a very well equipped kitchen and a huge flat screen tv on the 1st floor. One of the bathrooms has a jacuzzi bathtub and rain shower. Location is great. Very convenient. Would recomend these apartments to anyone who likes clean, modern, with the best of everything included. The owner Graham is one of natures gentlemen and is extremely helpful. In fact all the staff deserve the utmost praise.